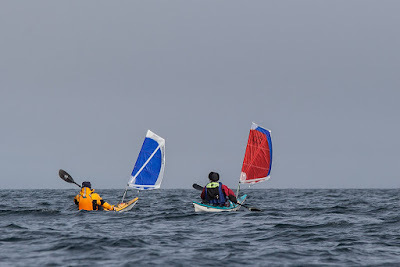 ...all the kayak sailors were now shipshape, Kayak Skippy's boom was now rigged in a more efficient, Northern Hemisphere orientation. 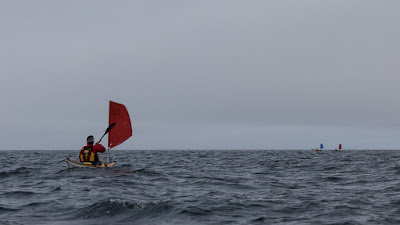 ...was both stronger and steadier. 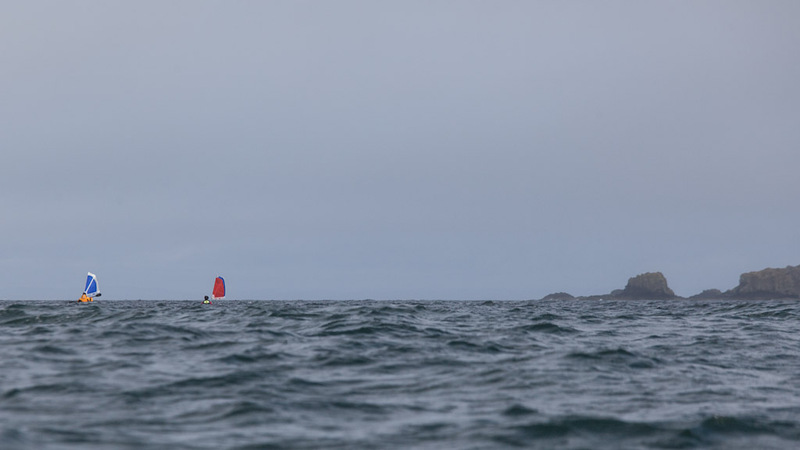 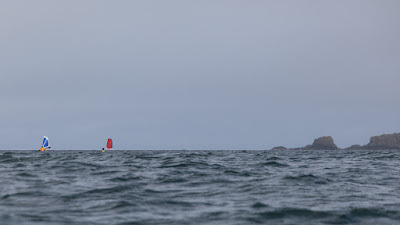 ..leaving Jim (in the sail-less Taran) and I in their wakes. 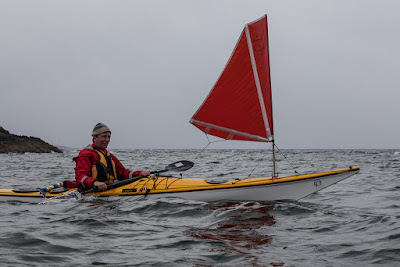 I stayed with Jim by "tacking" downwind (broad reaching on alternate tacks) behind him. 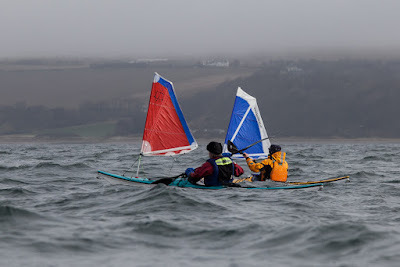 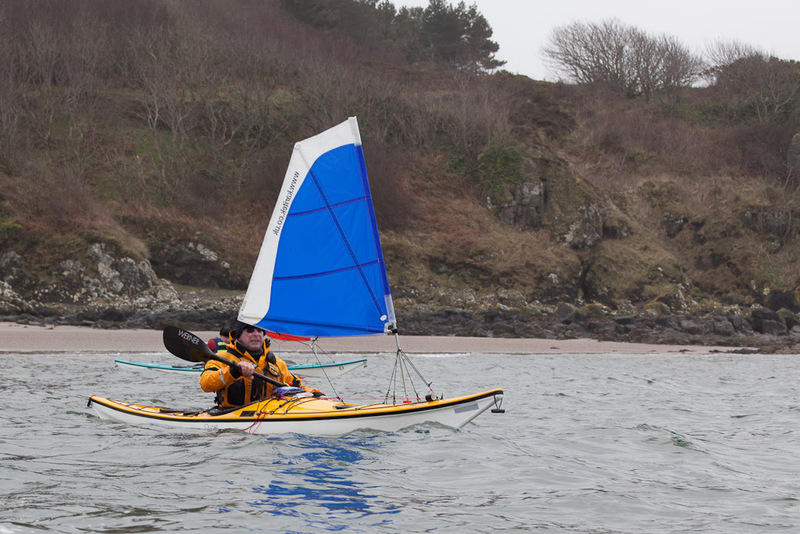 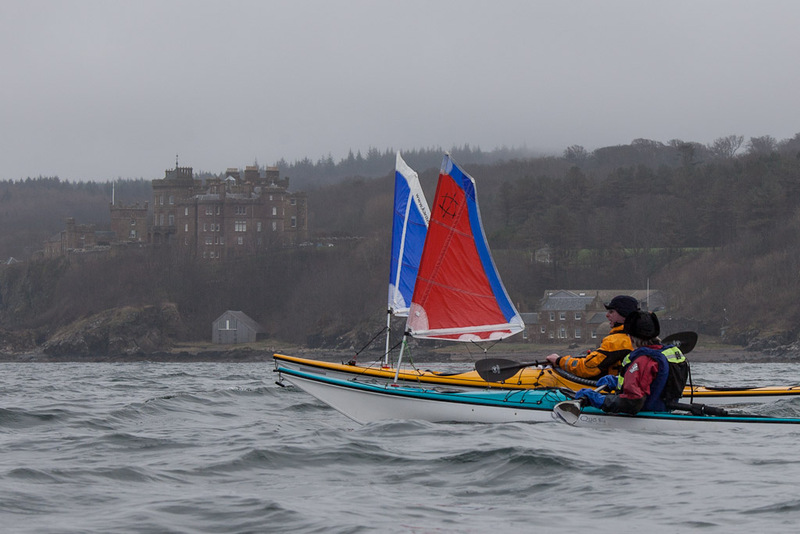 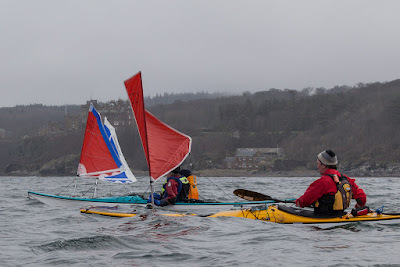 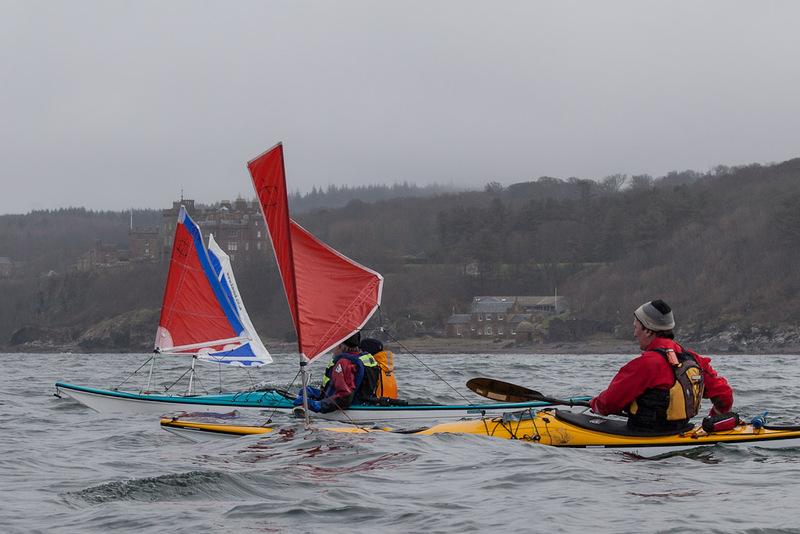 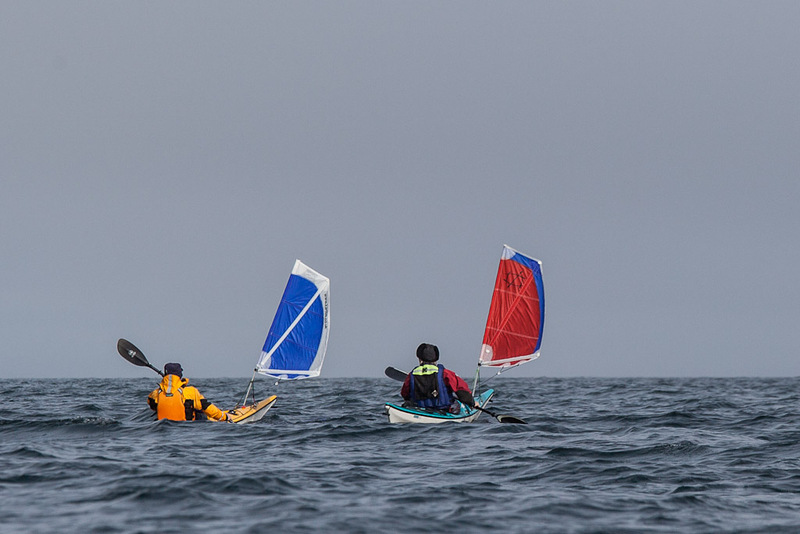 Conventional sea kayakers will by now be horrified by our group control... all I can say in our defence is: "Kayak Skippy, Kayak Skippy, Kayak Skippy, this is Kayak Sula" and... we all knew where we were going... the pub at Dunure!